Beauport, the Sleeper-McCann House, was the summer home of one of America's first professional interior designers, Henry Davis Sleeper. Perched on a rock ledge overlooking Gloucester Harbor, Beauport became Sleeper's retreat, backdrop for entertaining, professional showcase, and an inspiration to all who visited. After Sleeper's death, Beauport was purchased by Mr. and Mrs. Charles McCann, who left most of Sleeper's arrangements and collections intact. In the spring of 1906, a dinner invitation from Harvard economist Abram Piatt Andrew (1873-1936) brought Boston native Henry Davis Sleeper (1878-1934) to Andrew’s home Red Roof, located on Gloucester’s Eastern Point, for the first time. In a letter dated April 19, 1906 Sleeper writes Andrew about his visit, “I had such a nice day yesterday – I was quite fascinated by your house & place, as you doubtless noticed from my comment thereon!” It is this outing that began Sleeper’s treasured friendship with Andrew and enthusiasm for this elite summer enclave. Henry Davis Sleeper, also known as Harry by his friends, was born in Boston, Massachusetts, on March 27, 1878, the youngest son of Major Jacob Henry Sleeper and Maria (Westcott) Sleeper. His father served with distinction in the Civil War, and later took over the family real estate business. His grandfather Jacob Sleeper was a clothier, managed a building and trust at 31 Milk Street, and was one of three founders of Boston University. It was his real estate trust that provided Sleeper with income to collect art and eventually finance Beauport, at least initially. Eldest brother Jacob Sleeper (1869-1930) was a Foreign Service officer who spent time in Venezuela and Colombia before succumbing to an illness which had brought him under his brother’s care at Beauport. Middle brother Stephen Westcott Sleeper (1874-1956) was a real estate investor, taking over management of his grandfathers building. He married Eliza H. Cushing in 1911 and they later joined his younger brother on Eastern Point, purchasing the summer cottage Black Bess, six doors down from Beauport. Sleeper is said to have been tutored at home due to his frail health, and no trace of any formal education has been found. Some oral histories state that he studied at the Ecole des Beaux-Arts in Paris, though this claim not supported by that institution’s records. When Henry reached the age of eleven, the Sleeper family began spending summers in their new home on Marblehead Neck, designed by architect Arthur Little. Henry’s father built the home in 1888 and died while summering there three years later. After his mother sold the home in 1902, Sleeper saw that he would have to purchase another summer retreat for his family to escape the city heat. When he visited Eastern Point in 1906, he was determined that this would be the site of their new refuge. The social enclave of Eastern Point was created in the 1880s by wealthy Bostonians John and David Greenough, who formed the Eastern Point Associates to purchase farmland in east Gloucester from the heirs of farmer Thomas Niles. They bought the land on November 12, 1887 for $100,000 and began laying out streets and dividing the parcel into building lots. On a map of the subdivision produced for the Associates in 1889, the future site of Beauport occupied the lot designated as number 101. In 1901, the lot was sold to well-known Cape Ann hotel builder George O. Stacey, who already had sites including the Moorland Hotel, the Magnolia Hotel, and the Hawthorne Inn to his credit. One year later, Stacey purchased three adjoining lots and a few parcels across the road for the three-hundred-room Colonial Arms Hotel which opened for the season in 1904. Stacey separated the southernmost lot, 101, and sold it to Henry Sleeper on August 13, 1907. Sleeper began construction in the fall of that year and occupied Beauport by May 12, 1908, when Andrew was his first houseguest. Sleeper’s original Little Beauport, named after Le Beau Port, French explorer Samuel de Champlain’s description of Gloucester Harbor, was a relatively small cottage situated on a modest lot. Henry soon became the last official member of “Dabsville,” a self-imposed acronym invented by a group of artists and intellectuals who inhabited homes along a small section of Eastern Point Boulevard. The D stood for Joanna Davidge of Virginia, proprietress of Miss Davidge’s classes, a finishing school for young ladies in New York, who inhabited a cottage called Pierlane next to Red Roof. A, of course, was for its owner, A. Piatt Andrew. B was for well-regarded Philadelphia portrait painter Cecilia Beaux who resided in Green Alley, the southernmost Dabsville property. S stood for Henry Sleeper but also for South Carolina native Caroline Sinkler, whose home was sandwiched between Red Roof and Beauport. She called her cottage Wrong Roof in a joking jab at Andrew’s home. Despite that colorful bit of levity, Miss Sinkler had experienced a tragedy that left an equally indelible image. Shortly before her winter wedding, her fiancé, John Stewardson of Philadelphia, drowned while skating on the Schuylkill River. From that day forward, Sinkler wore mourning clothes in hues of lavender and black which earned her the name of “the Lavender Lady” among the members of Dabsville. Completing the assortment of unique individuals was the compulsive collector, Mistress of Fenway Court, Isabella Stewart Gardner as an honorary member. For Henry Davis Sleeper, this group of friends was his source of entertainment and inspiration for his great pride, Beauport. Shortly after Sleeper purchased the lot on Eastern Point, he and Andrew discovered the William Cogswell house in Essex while on their way to visit Emily Tyson, who had recently restored Hamilton House in South Berwick, Maine. Sleeper eventually purchased the interior of this dilapidated eighteenth-century farmhouse and used the paneling and shutters to form the Cogswell’s Hall and the Green Dining Room, both on the original 1908 floor plan. It was this purchase that began Sleeper’s interest in architectural salvage which he used throughout his summer home, making his new house appear old. Beauport was the beginning of a fruitful partnership between Sleeper and Gloucester architect Halfdan M. Hanson (1884-1952). Like Sleeper, Hanson did not have formal education but only training from correspondence classes. Together they created a house of risk and ambition and continued to expand Beauport and work on various other commissions until Sleeper’s death in 1934. When Sleeper purchased the lot in 1907, just next door was the massive Colonial Arms Hotel preventing all possibilities of expansion to the north. On New Year’s Day of 1908, the hotel burned to the ground leaving only a black cellar hole and open ground. On October 16, 1911 Sleeper purchased an eighteen-foot strip of this land. By December of that year Henry and Hanson completed the Book Tower, Shelley Room, and Pineapple Room. The following year, the Linebrook Parish Room, which become a favorite room for intimate dinner parties and entertainment, the Belfry Chamber upstairs and connected by the secret staircase, and the Chapel Chamber guest room on the first floor were added. Sleeper’s additions and changes were often inspired by objects, themes, or significant events. In 1917, the death of his mother resulted in the creation of a wing on the northern side of the house. The Pembroke Room, more commonly known as the Pine Kitchen, was constructed with doors and paneling from the seventeenth-century Barker House – his mother’s ancestral home – in Pembroke, Massachusetts. This room was not only Sleeper’s favorite but also became the most copied in the homes of his clients. Visitors to the house were drawn to the colonial hearth with its many implements, charming redware, colonial wing chairs, and wide floor boards that came from the nineteenth-century Dillaway House in Boston’s North End. At the same time, Sleeper added the Franklin Game Room which exhibits his fascination with America’s founding fathers. Over the Franklin stove he hung an image of his mother, one of only two known, flanked by Victorian wax flowers. Sleeper’s crowning achievement, which greatly influenced the Octagon Room, came with his participation in the American Field Service. In 1915, Andrew enlisted him to raise funds for the Field Service in France, a group of American ambulance drivers that transported the wounded from the battlefield during World War I. Sleeper became the AFS’s American representative and chief fund raiser, and served as director of its Paris headquarters in 1918–1919. For his efforts he received the Legion of Honor (1918), the Medal of Honor (1919), and the Croix de Guerre (1921). When Sleeper returned from France in 1920 he planned and executed the addition of four more rooms at Beauport: the Red Indian Room, Master Mariner’s Room, Golden Step Room, and the Octagon Room. The latter, often referred to as the Souvenir de France, was created with eight sides to display his red-painted tinware (tole) that he collected while in France. Sleeper’s interest in the decorative arts was well established before World War I. He served as Director of Museums for the Society for the Preservation of New England Antiquities, now Historic New England, and as a founding member and trustee of the Shirley-Eustis House Association. And, in 1914–1915 he assisted in the reconstruction of the Church of Our Lady in Gloucester. After the war, Sleeper embarked on a professional career as an interior designer and decorator which brought Beauport further attention from the media, friends, and eventually clients. In 1921, Sleeper opened offices at 50 State Street in Boston, moved to 40 State Street between 1925 and 1926, and finally settled in a building at 420 Boylston Street, which housed a number of other interior designers. His work received attention in a number of important periodicals and monographs, including House Beautiful (1916), Country Life (1929), and in several of designer Nancy McClelland’s works. In its early years, he described his business as “Norman and English Country Houses – 17th and 18th Century American Interiors,” but later he modified this to “English and French Interiors- 17th and 18th Century American Paneling.” He executed commissions for clients including Isabella Stewart Gardner (1923) and Henry Francis duPont (1925) in the East, and in Hollywood, for John Mack Brown (1930), Joan Crawford (1934), and Fredric March (1934). In 1923, he decorated Chestertown, duPont’s new summer home in Southhampton, Long Island, New York and five years later he began consulting for the new wing of the duPont family home, Winterthur, in Winterthur, Delaware. Beauport continued to evolve during this time beginning with the transformation of the Medieval Hall. Sleeper purchased pristine, unused rolls of late eighteenth-century hand-painted Chinese wallpaper depicting three industries of China: the production of porcelain, the raising of rice, and the cultivation of tea. The papers were discovered in 1923, still in their shipping crate, in the attic of the Elbridge Gerry House in Marblehead, Massachusetts. Reportedly, the paper was ordered by Philadelphia banker and signer of the Declaration of Independence Robert Morris via the China Trade. Sleeper used the tea series to adorn the walls of client Bruce Merriman’s Chinese ballroom in Providence, Rhode Island and used the remainder at Beauport. In 1925, Sleeper added the North Gallery and Sun Porch turning the once modest summer cottage into a mansion with over forty rooms. By the 1930s, Sleeper and Beauport were extremely well-known. The house became Sleeper’s showroom containing his lifetime collection of glass, ceramics, folk art silhouettes, furniture and so much more. Upwards of five visitors a day came to see this eclectic seaside house and were often received by Sleeper’s housekeeper, Mary Landergan Wonson. She worked for Sleeper until his death in 1934, and continued on at Beauport, serving as the first site administrator of the museum until her own death in 1957. Not only did she care for and clean the house but also its collections. She made diagrams so she could put everything back in the right place. She was known as the face of Beauport as she frequently gave tours of the house. In May 1934, Sleeper received a prestigious honorary membership in the American Institute of Architects for his outstanding contribution to the advancement of architecture and applied arts as “a collector of Americana and protector of the culture of early America.” Four months later Henry Davis Sleeper died at the Phillips House of Massachusetts General Hospital in Boston on September 22, 1934, from leukemia and was buried in his family’s plot at Mount Auburn Cemetery in Cambridge, Massachusetts. Piatt Andrew wrote a tribute published in the Gloucester Daily Times the following Monday, calling Sleeper a man of versatile talent and varied achievement. In closing he remarked, “A valiant soul left this world when Henry Sleeper’s life ebbed out the other day.” Sleeper was a gay man and never married. Upon Sleeper's death, Beauport passed to his brother Stephen. Although he had a modest trust fund from his grandfather and a successful interior design business, Henry Sleeper relied almost entirely on elaborate mortgages and financial dealings to finance Beauport. With Beauport, Stephen also acquired his brother’s debt and was forced to sell the house. On October 21, 1935, Mrs. Helena Woolworth McCann, wife of Charles E. F. McCann of Oyster Bay, Long Island, purchased the house. Mrs. McCann, who collected European art, including her well-regarded collection of export porcelain, understood the charm and historical significance of her new American find and wished to preserve it unchanged. Desiring a room for entertaining, Mrs. McCann took duPont’s advice and remodeled the China Trade Room in 1936. Aside from this alteration, small changes in some textiles, wallpaper and various touches, Sleeper’s collections and arrangements remain intact. 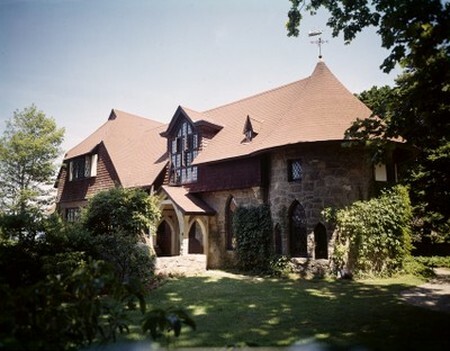 Before her death in 1938, Mrs. McCann approached William Sumner Appleton, director and founder Historic New England, with the intention of bequeathing the property. Shortly after this initial discussion Mrs. McCann took ill and the proposed bequest was forgotten. Instead, she left Beauport to her three children, Constance Betts McMullan, Helena Guest, and Fraiser McCann, and they continued to occupy the house for several years. Appleton approached the children with their mother’s proposed bequest and suggested the unusual idea of allowing the family to access Beauport after it obtained museum status. On December 21, 1942, ownership of Beauport transferred to Historic New England as a permanent memorial to Helena Woolworth McCann. Since 1942, Beauport, Sleeper-McCann house has been open to the public and operated as a museum by Historic New England. In May 2003 the house was designated a National Historic Landmark, one of only two in Gloucester. In December 2007, Senators John Kerry and Edward Kennedy, along with Congressman John Tierney, awarded Beauport a $500,000 Save America's Treasures grant from the National Park Service. This grant funds much-needed preservation work of the windows, roof, and chimneys securing the envelope of the house. This major undertaking began in 2008 and is scheduled for completion in 2011.